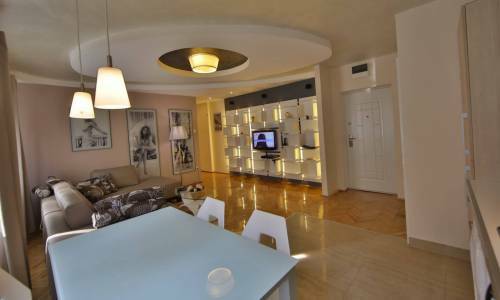 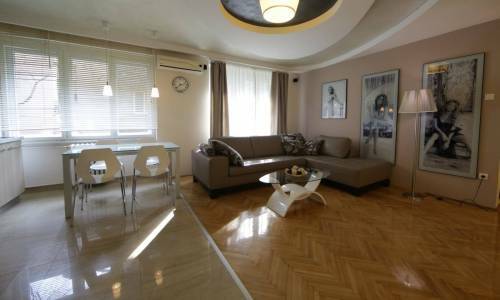 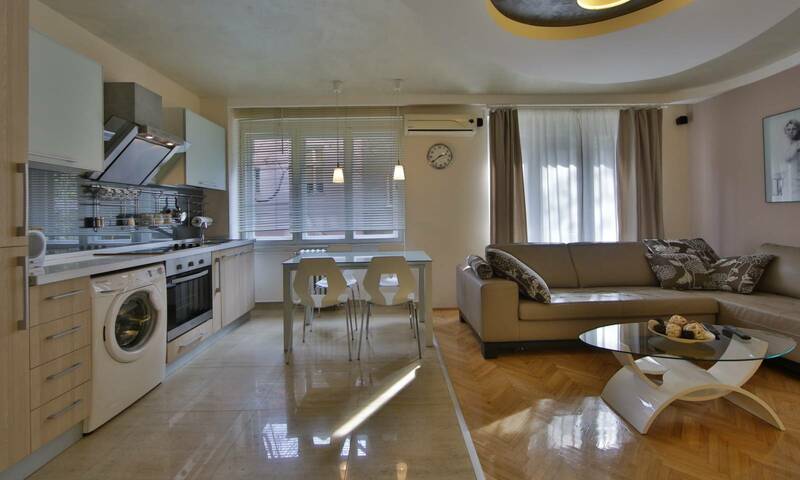 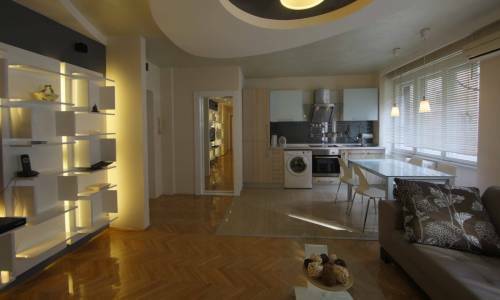 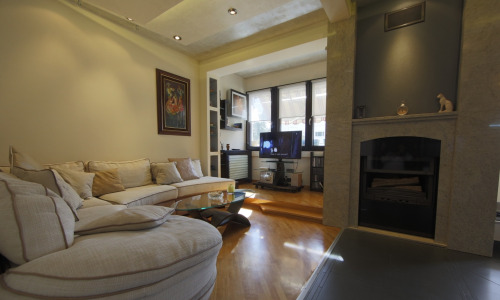 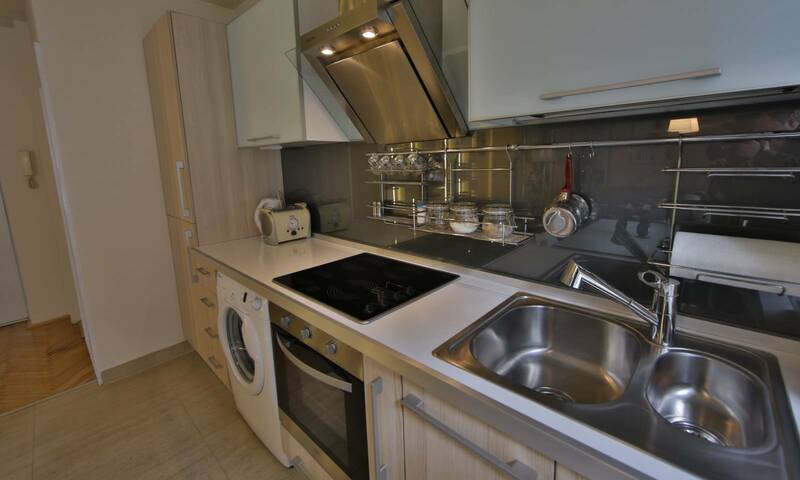 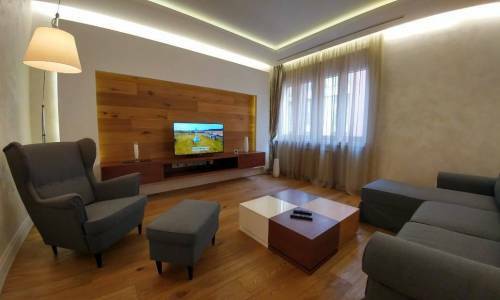 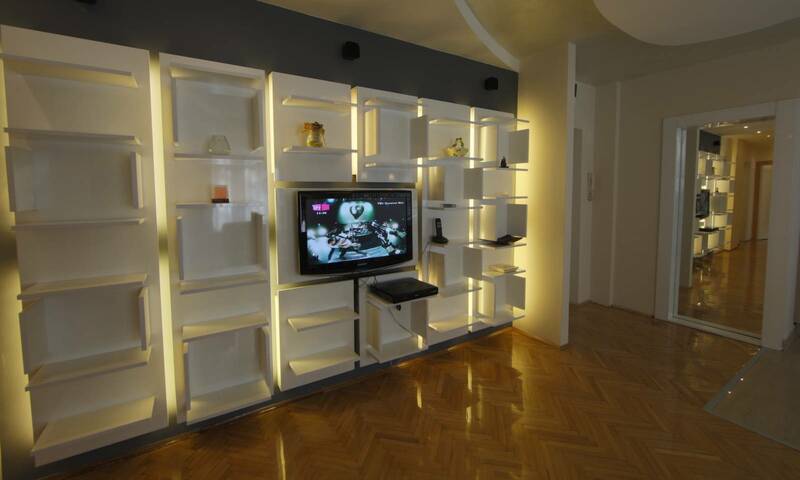 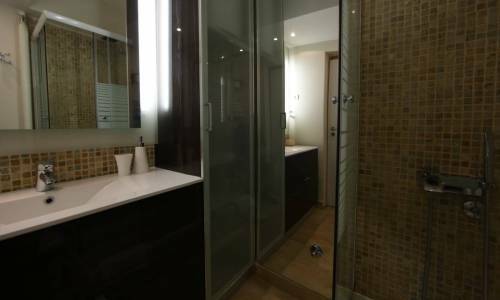 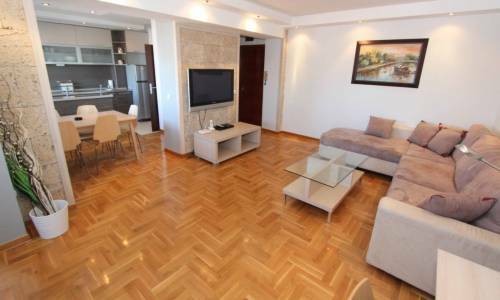 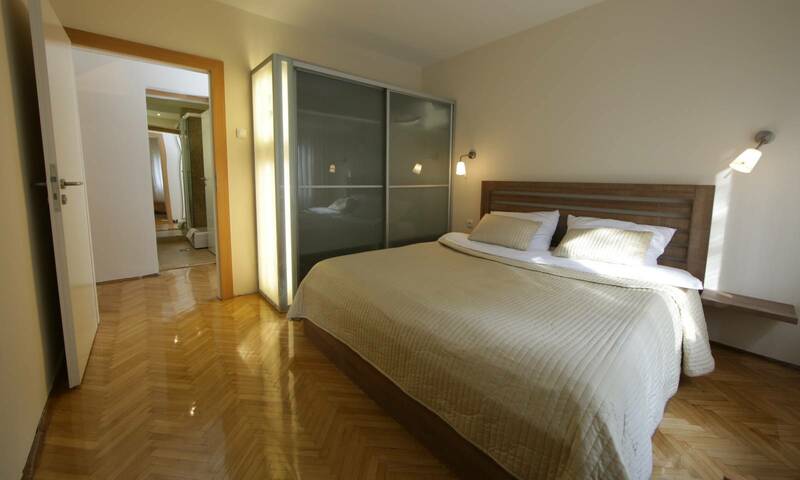 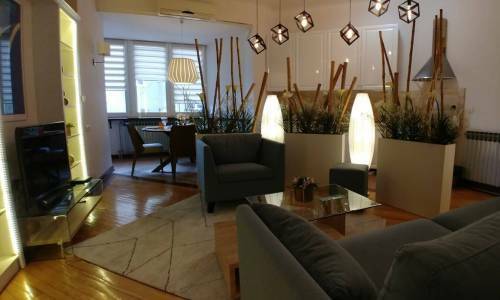 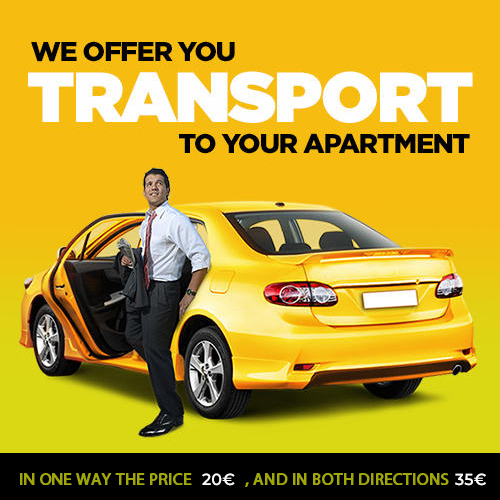 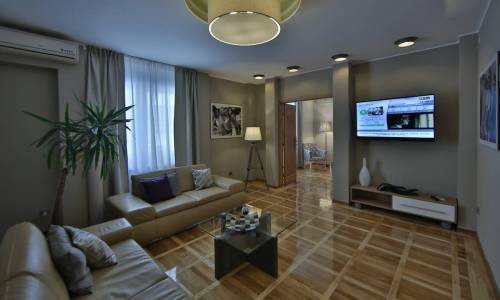 Palas is an apartment in the very center of Belgrade, located at Marsala Birjuzova Street. 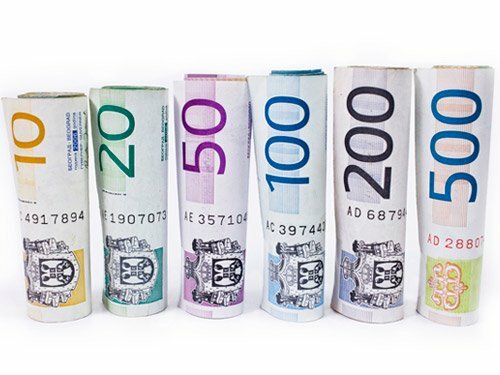 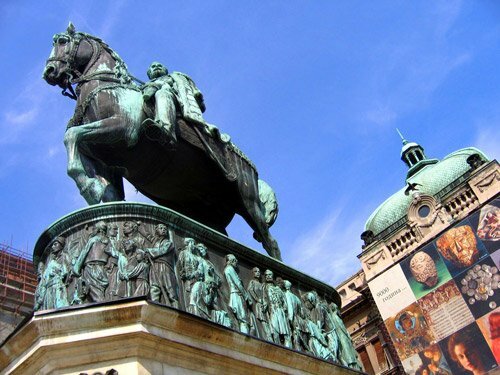 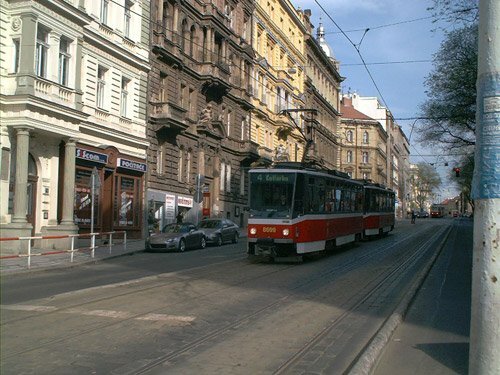 It is located in the epicenter of Belgrade’s urban life, due to its proximity to Knez Mihailova Street - the main shopping and pedestrian zone, Kalemegdan, Skadarlija and Strahinjica Bana Street. 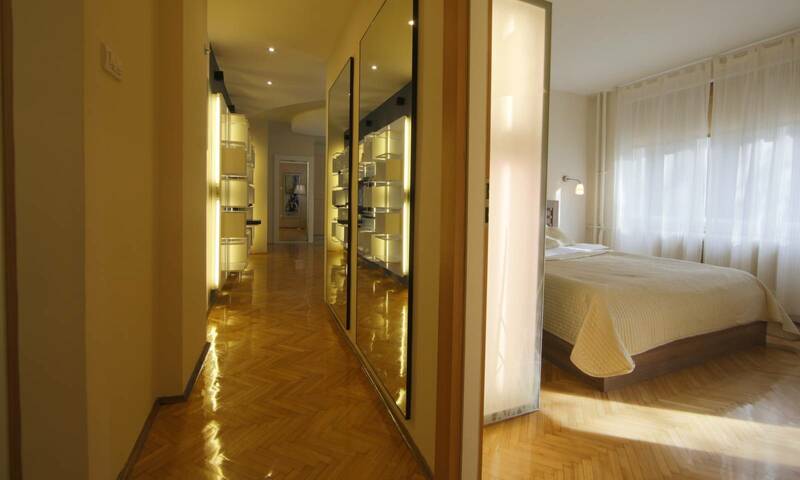 It is the apartment our most discerning guests choose most often. 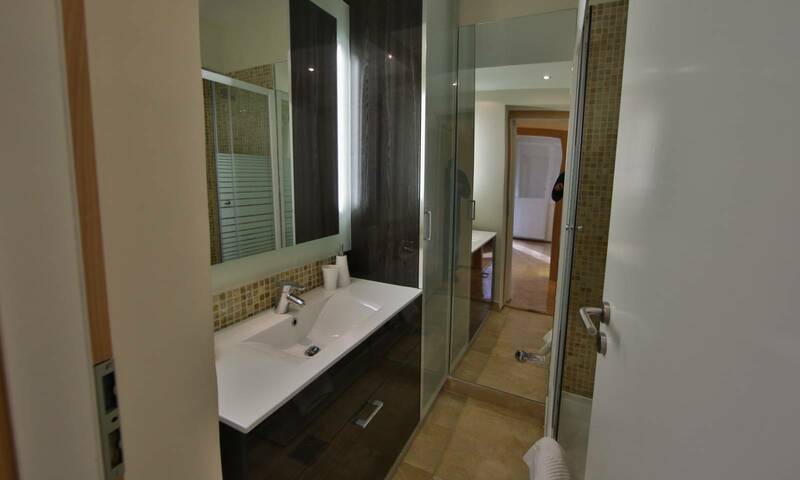 It was renovated in July 2012 and very nicely fitted out. It comprises two bedrooms with a double bed and two single beds, a living room with an L-shaped fold-out sofa bed, a fully equipped kitchen, a dining room, a terrace and a bathroom. 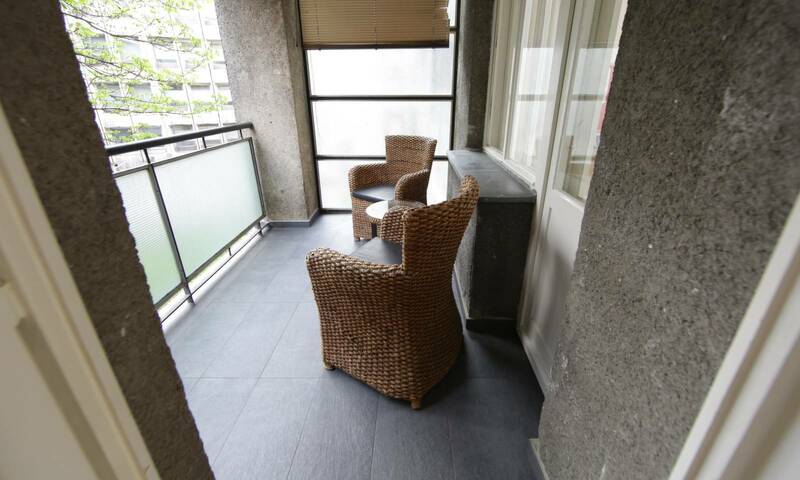 The apartment can accommodate up to 6 persons (2+2+2). It includes air conditioning, central heating, fast wireless Internet, a dishwasher, an LCD TV 102 cm, cable TV and burglar-proof doors. 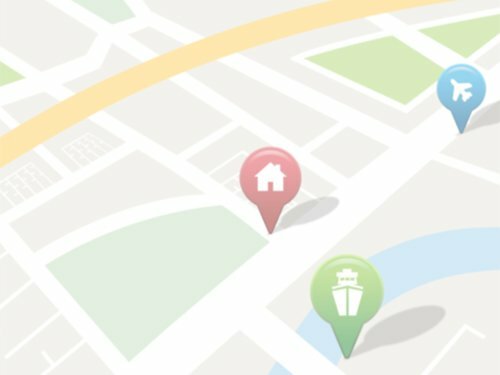 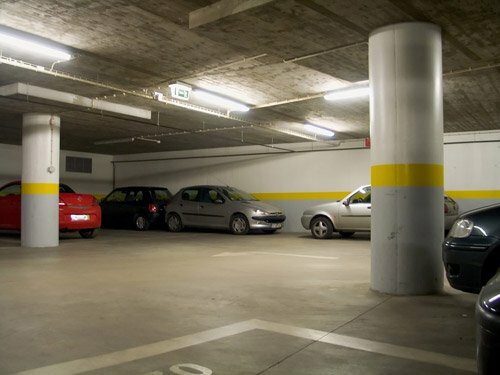 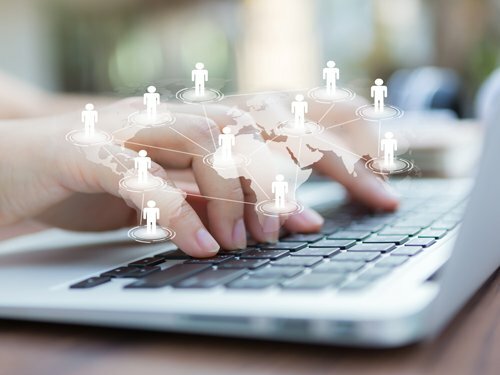 If you are coming by car, a free garage, as well as an extra parking place are provided.